Luminous Coffee supports the Christian Urban Development Association (CUDA). CUDA began working in the neighborhoods of Arequipa, Peru in 2009 and currently has ongoing projects in the areas of education and health. Every bag of coffee sold supports the work of CUDA. Starting in 2018, after a move to Denver, CO, Luminous coffee has a new coffee roaster. The new roaster is Purple Door Coffee. Purple Door has a coffee shop and a roaster in Denver. They employ young adults who are transitioning from a life on the streets. They provide job training and experience. When you buy Luminous Coffee you help to provide jobs for street kids. Your purchase now does more. In February of 2012, due to a lack of decent coffee shops in the city, we opened a coffee shop as a means of providing high-quality coffee to the citizens and tourists of Arequipa and to generate funds to sustain our development work. A quality coffee shop begins and ends with quality coffee. We knew we wanted Peruvian coffee and we had a few other standards (organic, fair-trade/direct-trade, super delicious) that would help us pick the right coffee to serve. After trying the best Peru has to offer, there was one clear winner: Tunki. Tunki is actually one variety out of 8 that a large co-op of farmers, CECOVASA, produces in the Sandia Valleys of the Puno region of Peru. In 2010, the Tunki variety was awarded the People's Choice Award at the annual SCAA Exposition—beating out 8 finalists. Tunki and the other varieties we buy from CECOVASA are world class, and we think you'll like them as much as our customers in Peru do. We started importing and selling coffee in the U.S. in 2014. 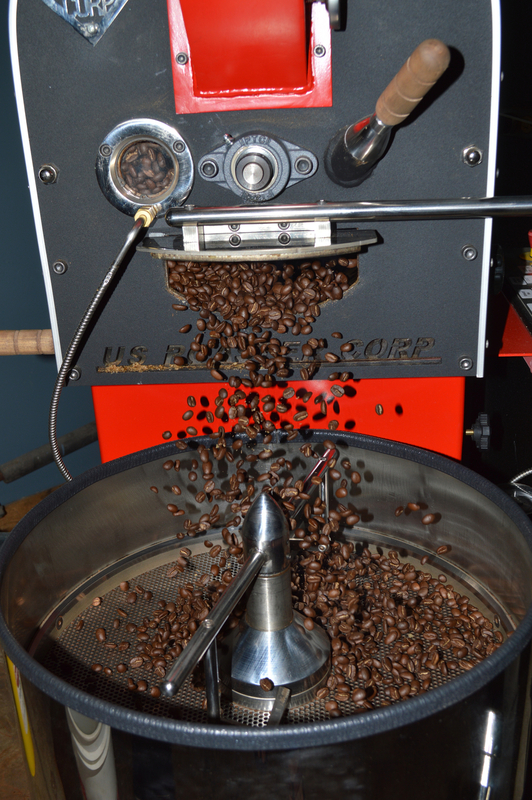 We roast a variety of premium Peruvian coffee beans at light, medium and dark roasts. Excellent flavor should only be one criteria on which you base your coffee consumption decisions. Are the laborers paid a fair wage? Is the coffee produced on farms using organic and sustainable farming techniques? How coffee is produced should influence your decision as much as the flavor and price of the bag. CECOVASA and all of its farmers strictly adhere to international standards. When you buy a bag of Luminous Coffee you know that the farmers received a fair wage to work their fields, the coffee plants were grown naturally (USDA Organic certified), and great care was taken of the local environment (Bird-Friendly certified). Living Libraries - We install libraries in under-resourced Peruvian national (state-run) schools. Along with a fun reading space and books our workers train the schools' teachers in strategies to improve reading comprehension levels in their classrooms. In 2013 we worked in one school but in 2014 the plan is to expand to three schools. Preventative Health - In 2014 we launched our first long-term medical project. Working with the network of government-run clinics in the district of Hunter, CUDA works to better screen for and inform patients about non-communicable diseases like diabetes.